Whether you’re welcoming your guests or coming home after work, having an amazing grand entryway is just what you need to make an impression. From the curb appeal to the actual entrance, there are lots of things that have to work together in order to create the perfect foyer. If you are looking for effective ideas for a majestic entrance into your living space, here are five easy ways to make the most welcoming grand entryway! 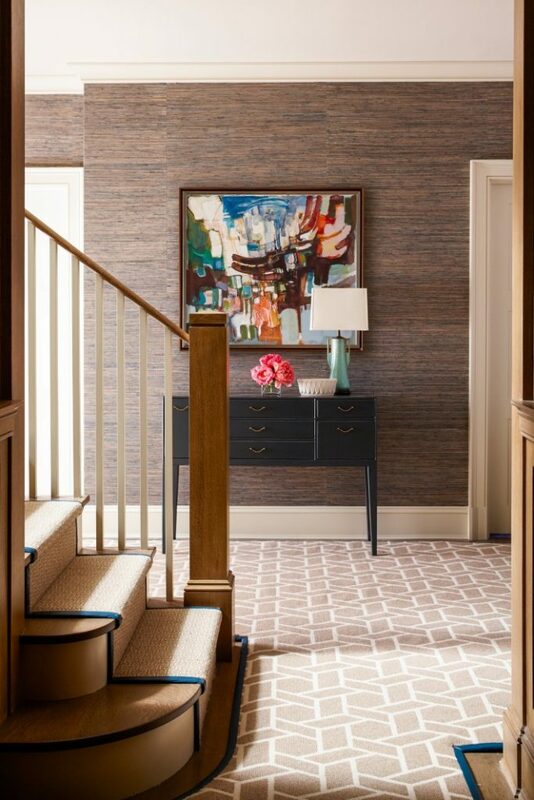 The furniture and lighting you select for your entryway are crucial to making a great first impression. 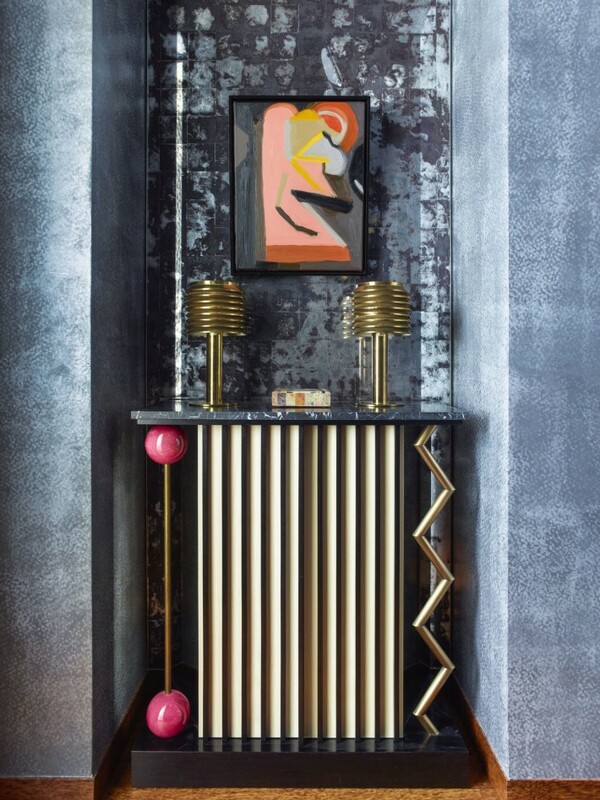 If your space allows create a focal wall using an artistic console table. If you have room you can even flank it at either end with decorative chairs. These will also serve as functional for removing shoes, waiting or just resting a moment. 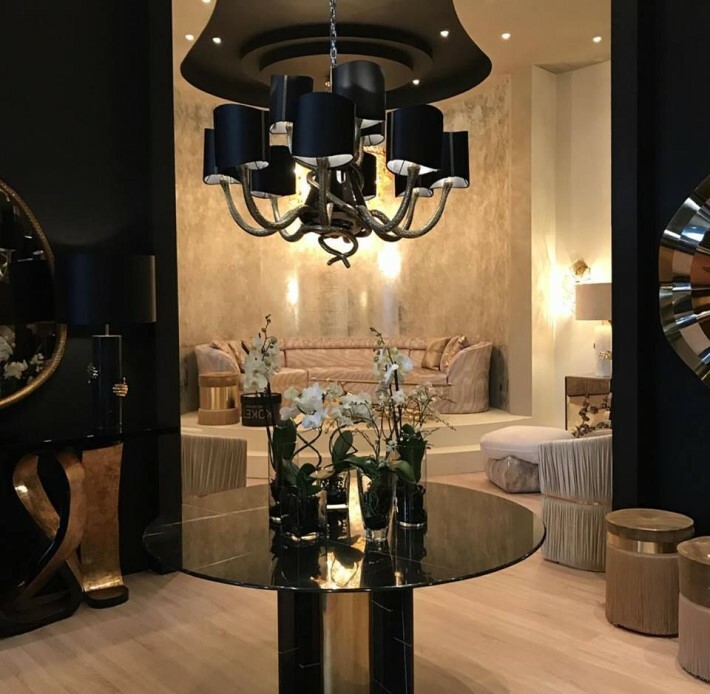 Another great way to make a statement and create a truly grand entryway is to incorporate luxurious lighting. Try a showstopping crystal chandelier for a major wow factor. 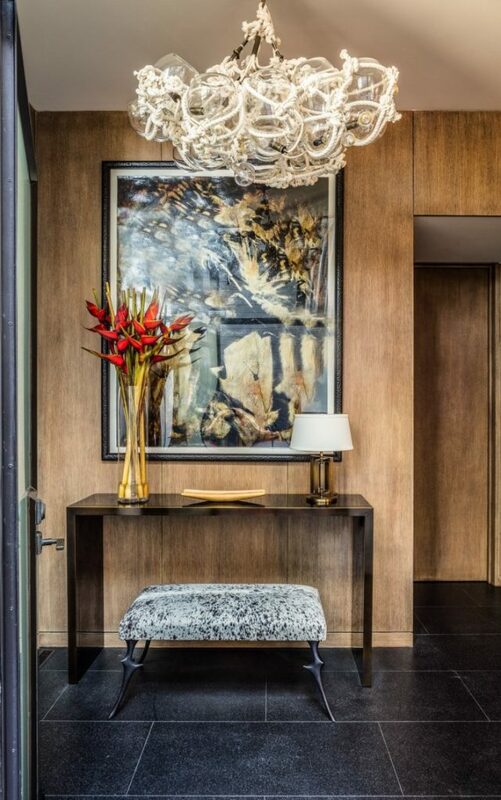 Or add some decorative wall sconces or a statement table lamp on the console table to warm and enliven the space. 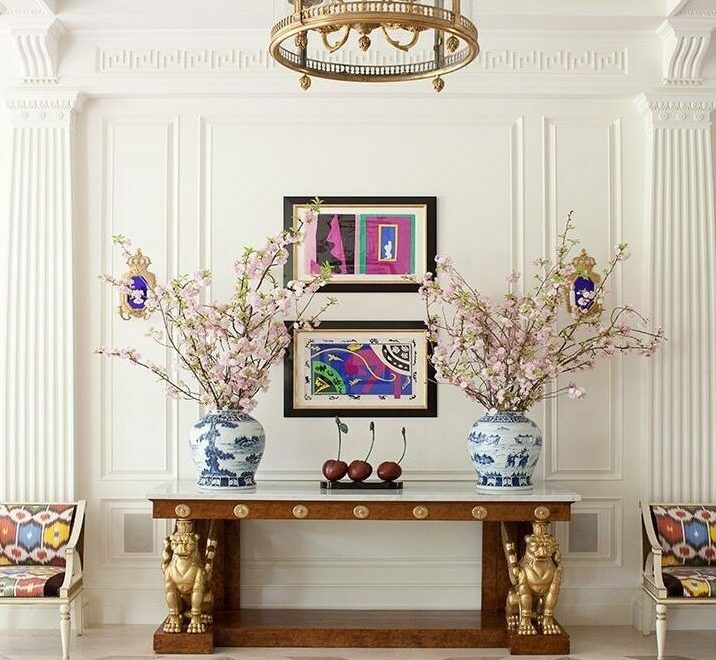 While most people don’t pay enough attention to the décor in their entryway, others focus all their attention precisely to this space. They know that this is what shapes their guests’ first impression, and that’s why they want to wow them as much as they can. There are lots of ways to do so, but choosing art is one of the best and most creative ideas. 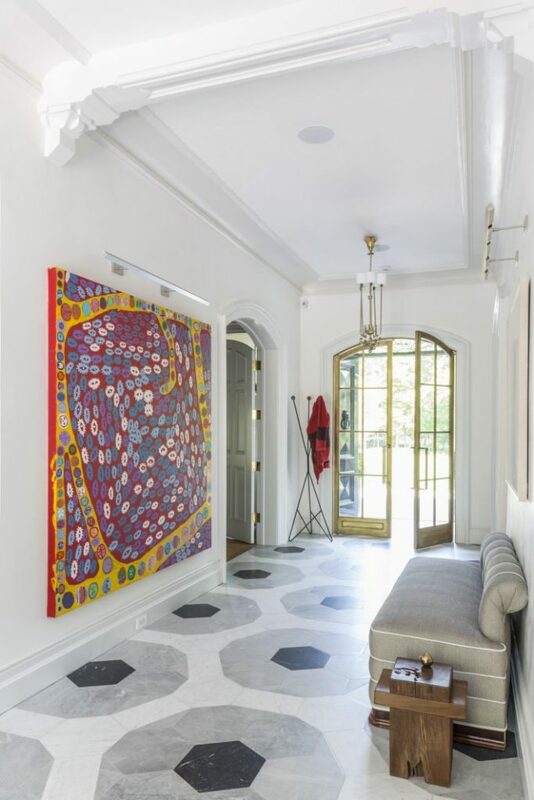 Whether you pick a painting, a set of photographs, a sculpture or something else, displaying art in your foyer is a fabulous way to create a grand entryway. Select something classy and refined for a great first impression. Or go for something extra intriguing to serve as a conversation starter. Well creating beauty inside your home is key, be sure not to neglect the outside as your guests see this even before they step inside. Since most front yards also serve as lawns, it’s sometimes hard to get from the driveway to the entryway without walking over the grass. But there are many ways to solve this problem. Paving is probably among the most common ideas out there, but just because millions of people are using it doesn’t mean it’s uncreative or unimaginative. On the contrary, if you manage to find the right pebbles for your pavement, you’ll add a visually appealing and intriguing new feature to your home. Furthermore, this feature is going to draw everybody’s attention and quickly become the focal point of your outdoor space. Once people come to your home and realise that your exterior and front yard are truly amazing, you’ve already done enough to make a great first impression. All you need to do now is make sure they feel the same way once they start approaching the front door as well, and the way to do that is by exploring various doorway details. These can be as simple as a new doorknob and a knocker. There are tons of shapes and sizes out there so find something fun. You can also update your exterior lighting, add potted plants or, of course, if you’re a fan of holidays, be sure to add some seasonal decorations here as well. Another amazing way to welcome your guests is by ensuring your entryway always smells nice and inviting, which is why you definitely should incorporate a scented candle or two. These won’t just look nice, but are also going to make your guests feel extra special, particularly if you pick a scent they love. 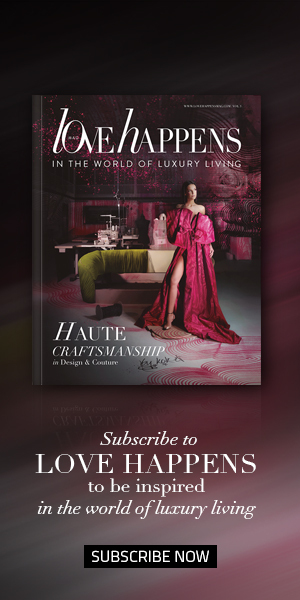 Entry and Hall in New York by Kelly Wearstler, Inc. Some of the most popular scents include jasmine, cedar, rose and vanilla, so go ahead and give one a try. Their pleasant smell will make your entrance cosier and more elegant than it ever was, and your guests will certainly appreciate this gesture. Giving your home a grand entryway can seem hard at first, but it’s actually not–you just have to pay attention both to the interior and exterior space and take care of every detail with the utmost attention! Looking for a Foyer Design That Will Dazzle and Delight?